North London Toyota | Promotions | Spring Fling Pre-owned Blowout On Now! Spring Fling Pre-owned Blowout On Now! 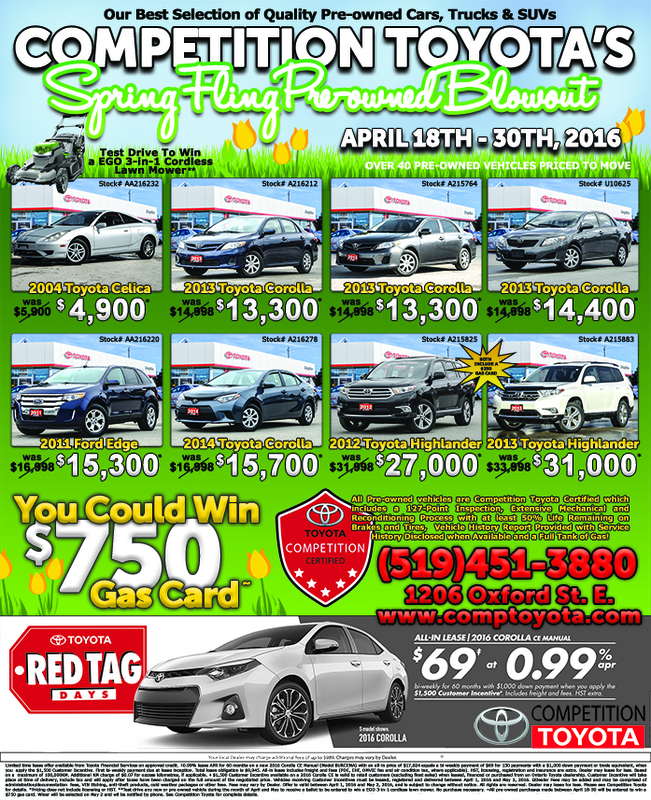 Competition Toyota's Spring Fling Pre-owned Blowout is on now until the end of the month! With over 40 vehicles to choose from, this is our best selection of quality pre-owned cars, trucks and SUVs. 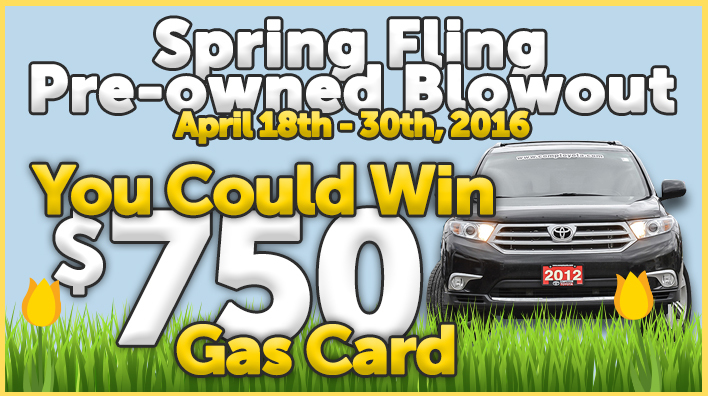 All pre-owned vehicles purchased during our Spring Fling Blowout (April 18-30th, 2016) will be entered into a random draw to receive a $750 gas card! One lucky winner will be selected on May 2, 2016 and notified.